"To participate, students must score 90 percentile and higher in any one subject - English, Mathematics or Science to be eligible for the ASSET Talent Search test." Do you already have ASSET PAN? How do I find my ASSET PAN? 1. 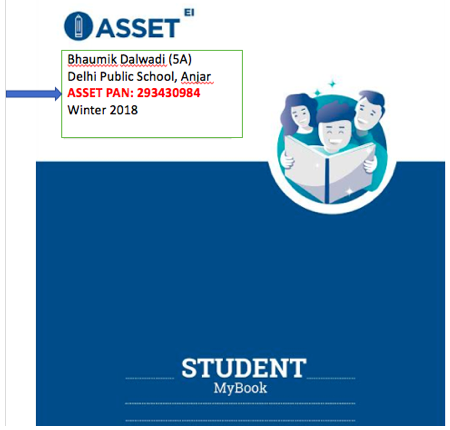 On ASSET Student MyBook (Report) cover page. Click Here - to download the payslip for Cheque/DD. This needs to be filled and sent along with the cheque/DD. After you click on 'Submit', you will be redirected to a secure online payment gateway. Established in 2001, Educational Initiatives believes in making a difference in education through personalised learning and ensuring that students learn with understanding.